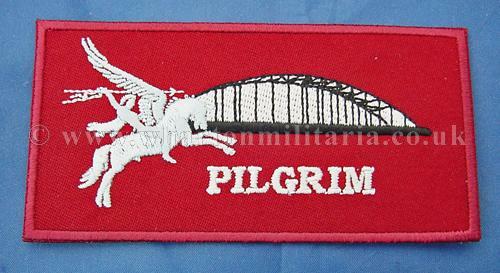 Parachute Regiment and Airborne forces Arnhem Bridge Pilgrim patch, patch worn by members of the airborne forces who made the ‘pilgrimage’ to the Arnhem Bridge in Holland. Civil type badge, designed for personal jackets, rucksacks, gym wear, towels etc. 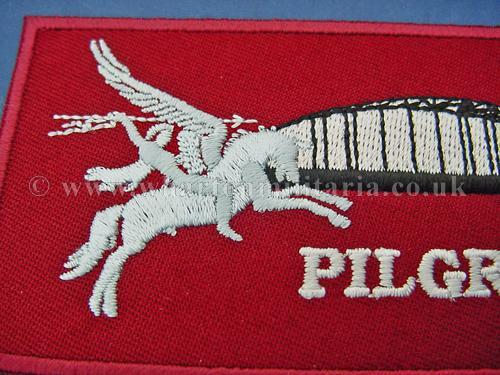 A nice patch in unworn condition, cotton woven detail of Pegasus and the Arnhem Bridge detail over the ‘Pilgrim’ title, backed on a pressed material backing. 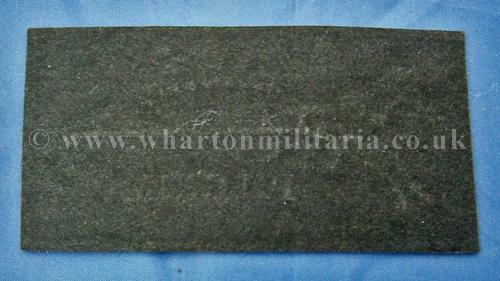 A nice looking badge, approx 100 x 50mm in size.